Advocate Health Care will replace Cerner and Allscripts with Epic as part of its merger with Epic-using Aurora Health Care, as speculated here ever since the merger – which will create the country’s 10th-largest health system — was announced in December 2017. Athenahealth reports Q4 results: revenue up 14 percent, EPS $1.11 vs. $0.62, beating expectations for both. Shares rose moderately in after-hours trading following the announcement. McKesson announces Q3 results: revenue up 7 percent, adjusted EPS $3.41 vs. $3.04, beating expectations for both. Meditech announces Q4 results: revenue up 11 percent, EPS $0.83 vs. $0.33. For the fiscal year, revenue increased 4 percent and net income rose 6 percent, although the December 2017 tax law changes reduced the company’s fiscal year taxes from $29 million to $19 million and thus heavily contributed to the increased earnings. Both numbers reverse a two-year downward trend. Product revenue jumped 21 percent year-over-year as service revenue dropped slightly. Voalte gains $15 million in new capital from Silicon Valley Bank, bringing the 10 year-old company’s funding to just under $70 million. Navicure and Zirmed name their newly merged companies Waystar. 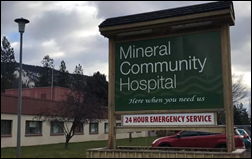 Mineral Community Hospital (MT) replaces its four year-old NextGen system with Athenahealth. Marshall Browning Hospital (IL) selects CloudWave’s OpSus Backup service. Martin County Hospital District (TX) chooses Cerner, delivered via the company’s CommunityWorks hosted model. North Carolina will become the 45th state to implement Appriss Health’s PMP InterConnect platform to share prescription drug monitoring program data across state lines. In UAE, VPS Healthcare will implement the Tasy EMR from Philips. I’ve never heard of it, but Googling suggests that Philips acquired the Latin American-focused EHR in 2010 and started rolling it out in Europe last year. William Gish (Cerner) joins Voalte as COO. Vibrent Health names James Wade, MD (Inova Schar Cancer Institute) CMIO. Allscripts promotes interim CFO Dennis Olis to the permanent position. PatientPoint hires Dan Owens (EVerifile) as CTO, Scott Schemmel (Ciner Resources) a EVP of IT, and promotes Kimberly Thiess to COO. 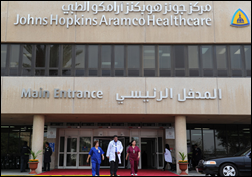 In Saudi Arabia, Johns Hopkins Aramco Healthcare goes live on Epic. Fresenius Medical Care North America will pay $3.5 million to settle HIPAA violations related to five separate breach incidents that happened in early 2012. HHS OCR found problems that include failure to conduct a risk assessment, improperly disclosing PHI, failing to develop policies to address security incidents, and improper movement of PHI-containing hardware and media. Analysis verifies that 5 percent people who are commercially insured account for 53 percent of healthcare spending, but it’s not the same people year after year – 61 percent of them moved off the top spender list from 2014 to 2015. The takeaway: consumers who buy crappy health insurance (or none at all) because they think they’re healthy might get a big financial surprise, especially as ACA changes allow policies to be sold without pre-existing condition coverage or with newly reinstated lifetime caps. CHIME decides to pick up the federal government’s slack and create an opioid task force that will attempt to come up with solutions to the opioid epidemic using the expertise of its members and their access to data. Some might wonder if this is a PR push similar to its National Patient ID Challenge, which CHIME decided to shut down last year for lack of viable entries. NCQA certifies ZeOmega’s Jiva population health management solution for 10 HEDIS 2018 measures. Premier awards Agfa Healthcare an enterprise imaging agreement. Forrester cites Liaison Technologies as a “Strong Performer” in operational intelligence for B2B integration. PatientSafe Solutions exhibits at the San Diego Health IT Summit February 1-2 in San Diego. 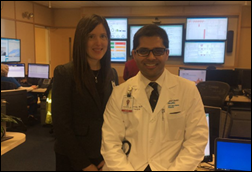 Spok publishes a case study describing how Woman’s Hospital (LA) overcame logistical and communications challenges caused by record flooding to manage a 27 percent increase in call volume and to track physicians down using secure messaging. Bernoulli Health profiles company highlights in 2017. InterSystems announces GA of its Iris Data Platform for transaction processing and analytics. RE: CHIME Opioid Task Force. Technology can help the fight against our opioid issues by providing visibility (wouldn’t it have been nice to know that almost 6,000 pills were being prescribed per resident in Williamson, WV) and linking processes that span multiple areas and organizations (wouldn’t it be useful to enable first responders to more easily connect a person just revived form an overdose to recovery services). However, technology is just a small piece of the puzzle, especially in smaller cities and rural areas that lack basic resources and infrastructure to adequately manage our issues. For technology to make an impact, issues like the availability of behavioral health resources, addiction counseling resources, and available detox beds need to be addressed. I hope that CHIME takes a full view of the issues at hand in their efforts. We need everyone engaged to make a difference.